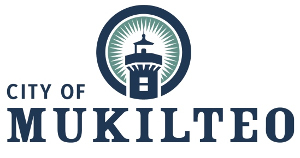 Back in 1992, a couple of area locals had a simple yet powerful idea: provide an opportunity for beautiful yet affordable luxury rides to the residents of Mukilteo. Limousine service shouldn’t be just for weddings, and it shouldn’t be reserved solely for the rich and famous. Every person should have the chance to make even ordinary occasions special by having a luxurious ride. That’s how White Glove was born, and we’ve been providing friendly, affordable, luxury rides to the residents of Mukilteo ever since! Not long ago, White Glove was named as one of the top five rides in Seattle by Business Weekly. The reason? We offer impeccable luxury transportation with prices to fit every budget. Our company is not focused on dollars and cents—we’re focused on the people we serve. That’s why White Glove is known for their personal, friendly service. When it comes to our vehicles and the services we offer, we don’t believe in “one-size-fits-all.” Unlike some other Mukilteo limousine services, we don’t force our customers into package pricing or minimum hours. Instead, you tell us what you’re looking for, and we’ll accommodate your needs. In addition to our flexible, people-oriented service, White Glove has an unbeatable reputation for safety. When you hire White Glove you can have confidence in our vehicles and our drivers. Each vehicle undergoes a meticulous safety inspection on a regular basis. We make sure each and every one of our vehicles are maintained to the highest standards so that you can relax and know that you’re safe with us. In addition, our drivers are professionals, specifically trained to operate our luxury vehicles with your comfort and safety in mind. Not only are they friendly, knowledgeable, and impeccably dressed, but they have spotless driving records that attest to their professionalism and dedication to the art of driving. What it comes down to is a matter of trust, and we know that trust is earned through consistent, reliable, safe and courteous service. Those are the principles we’ve built our business on, and those are the principles we continue to adhere to. That’s why we’re still here while other Mukilteo limousine services have come and gone.